Bath is the only entire city in England to be awarded World Heritage status. The city centre is recognised as one of the most important examples of Georgian town planning in the world. This brings an additional duty to ensure economic development is enabled without harm to the city’s Outstanding Universal Values. 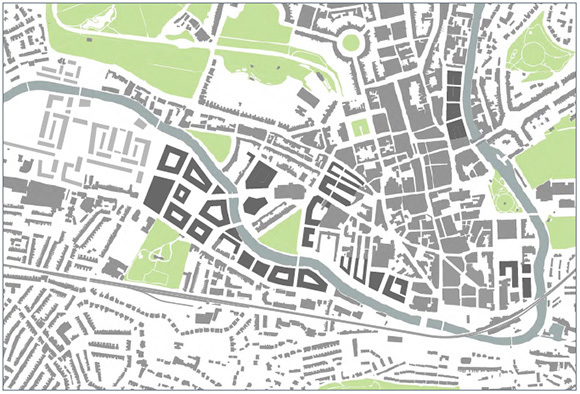 Place Studio was appointed to provide urban design led capacity three dimensional analysis of eight strategically significant city centre regeneration sites identified by the council within its draft core strategy. 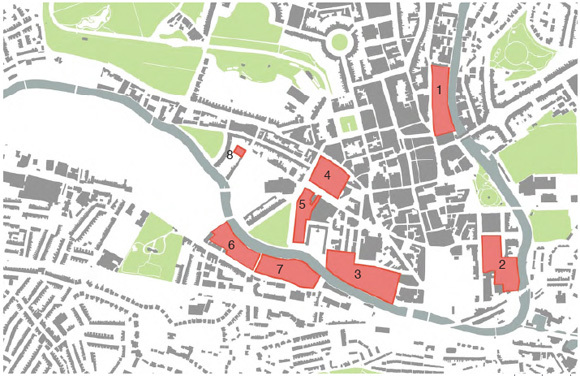 The commission provided the council with robust assessment of the optimum capacity and form that development of the sites could reasonably sustain having special regard to understanding the unique character of Bath. The council received accurate three-dimensional computer graphic views of each site’s potential supporting a measured schedule of potential capacity. The final report was published by the council as part of its evidence base supporting Core Strategy options for and has made a contribution to the drafting of spatial guidance for the city centre.